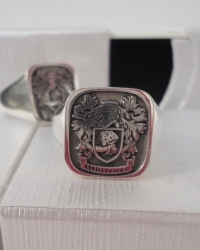 The ultimate in custom rings. 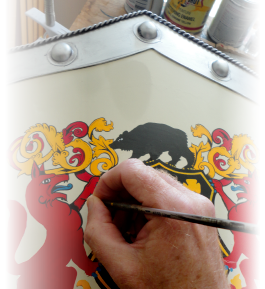 Your coat of arms engraved on Sterling Silver by our highly talented craftsman. 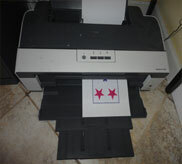 Ships FREE within the US. 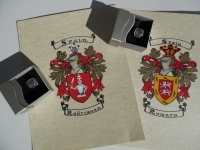 Each ring comes complete with a FREE hand-painted coat of arms on parchment paper. 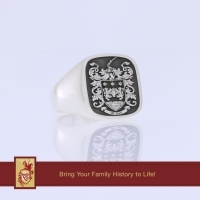 Please allow 10-15 days (plus shipping time) for the ring. 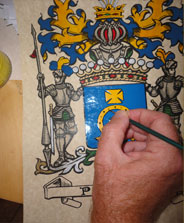 The parchment will ship in 7 days.